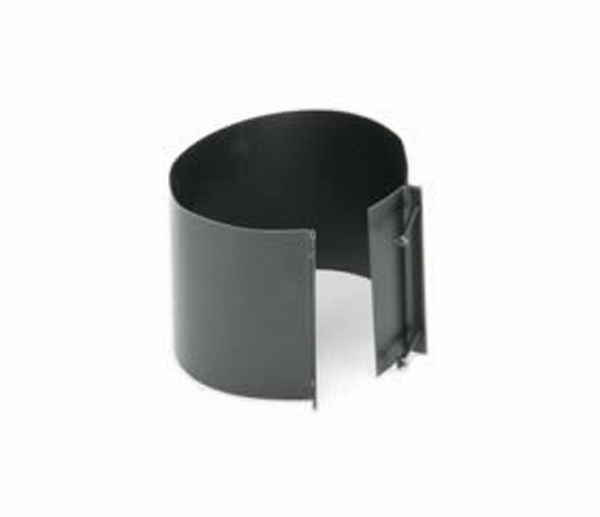 For a safe and easy connection from the stove in your home to your flue collar, Snap-Lock has designed a sturdy 7 inch stove pipe draw band. This band is made to fit flue collars that are slightly larger than the stovepipe on your appliance. It is made from durable 24 gauge steel and coated in a sleek black finish. Requiring a mere 18 inch clearance to combustibles, this band will connect easily with other Snap-Lock products. I'm trying to secure my double black pipe 6" at joint, and I definitely need a draw band. The outside diameter of the pipe at a joint is at least 6 3/8". Should I use the 6" or 7" draw band? The 6 inch draw band will open up large enough to work for your application. The 7 inch version will be too large.